What is Software as a Service (SaaS) and what is the big fuss about it? SaaS is a software licensing and delivery model in which software is licensed on a subscription basis and is centrally hosted. It’s sometimes called “on-demand software” or “web-based software” or “hosted software”. What makes it so unique is how it gets delivered. Users access the software from any PC via their web browser. Centralized hosting isn’t new; it dates back to the 1960’s when IBM provided their time-sharing services of computing power and database storage to banks and other large organizations. The Internet in the 1990’s created a new class of centralized computing called “Application Service Providers” (ASP). ASPs provided businesses with hosting services that managed specialized applications with the goal of reducing costs through central administration. SaaS extends the ASP model. SaaS providers developed their own software and moved away from managing or hosting a third-party application and the applications are purely web-based whereas ASP applications were client-server. Currently the most popular SaaS applications are CRM related, a Customer Relationship Management (CRM) tool, Google Apps, Amazon Web Services, ADP payroll applications, file-sharing apps like Dropbox and Microsoft Office 365, just to name a few. Many new applications designed for the contact center are now available in SaaS format like Workforce Management apps, Contact Center Phone Systems, as well as ticketing and service desk applications. SaaS is a game changer. IT techs no longer have to load software onto a server for users to access. It removes the need for organizations to install, run and support applications in-house. This eliminates hardware purchase, provisioning and maintenance. No more software licensing, installation and support. This gives IT techs more time for other higher level tasks. When using a SaaS application, organizations always have the latest and greatest version. The updates happen instantaneously and are transparent to users. The days of limping along on an old version are gone. The IT department and users do nothing but enjoy the updates as they come because the software application runs on the SaaS provider’s servers not yours! The provider manages the access, security, and performance. The scalable delivery model and the pay-as-you-go model make this an especially attractive solution for contact centers because they are scaling agents up and down. How does a SaaS application secure your data? Think of a SaaS application like a bank. Banks have thousands of users. Each customer logs into their online banking account and sees their checking, savings and other bank accounts from the online platform. Every customer uses the same “software application” but only sees the accounts they have access to, thus keeping accounts safe and secure. The platform provides a reliable and secure system on a massive scale without the worry of unauthorized access. The application is web-based, all you need is an internet connection and a browser. SaaS is a multitenant architecture meaning that all users and applications share a single, common infrastructure and code base that is maintained centrally. Each customer is called a “tenant”. Since all customers are on the same infrastructure and code base, SaaS providers can innovate faster; saving developers time by no longer working on outdated versions. In a SaaS environment, the user data is stored on the provider’s platform. A best-in-class provider will store data across multiple servers so when one server crashes it doesn’t pull down the entire network. With server based software businesses experience application crashes, stopping workflow and productivity. In the contact center, agents are unable to access customer accounts, answer the phone, or sit idle and wait. There are still many out there that believe that SaaS applications are not secure. We know that hacking happens daily 24×7. No company is immune to security breaches. Most organizations don’t have the staff to even remotely keep up with the 1000’s of threats that occur each day. However, SaaS providers assign cyber security experts to their applications. These experts know the application better than anyone and therefore know the potential weaknesses. Security experts monitor for threats every day and secure the application on the spot. Do you have a cyber security expert that you can dedicate to each application? The costs get transitioned to a recurring operating expense, which allows contact centers to more accurately plan and budget. Never has there been a way to scale a contact center for growth so cost effectively. Now you are paying for exactly what you need when you need it. 1. Evergreen can be Mean. Know the terms of the contract, especially the “renewal” terms if any, and the number of days required for sufficient notice to opt out of the renewal. 2. Back-Up Plan: Contract with your local convention center as a local back up location. They have the infrastructure large enough to handle a high volume of calls already in place. Bring your laptops, log into the contact center platform with the Internet browser and you are ready to take calls. Software as a Service (SaaS) is the next generation of software and how it is delivered, priced and managed is what makes it so exciting for contact centers. It is software licensing that is delivered via the internet on a monthly subscription. Contacts can use a SaaS phone systems, eliminating the need for a premised based switch which is so limiting when adding and removing seats, moving the contact center and disaster recovery. Offering more scalability and flexibility. SaaS makes it simple to manage because the SaaS provider manages the access, upgrades, performance and security allowing the IT professionals to work on other projects. SaaS is typically priced by the number of users and is easily adjusted when the need to add and remove users arise. In the contact center, the CRM, phone system, payroll, workforce management and the ticketing system are all available in a hosted format, avoiding outages due to server crashes from outdated software. Every time a user logs in, they enjoy the latest version of the software, which is maintained by the provider. IT doesn’t have to load the software on to a server and companies don’t have to spend money on updates-it’s transparent to users. Lastly, the pricing is based on the number of users allowing contact centers to better control expenses and pay only for what they use. Service Level Agreements in a contact center are critical. Because applications are hosted there can and will be times of outages. Outages are typically due to the ISP having an issue. It is recommended in the contact center to have two diverse ISP’s set up to prevent any outages. Many times, the vendor providing the software is blamed but remember they are “server diverse”; they have multiple servers around the country and it would take an awful lot to bring them all down. With a second ISP, your agents will still be able to access any web based CRMs, workforce management applications as well as payroll. A SaaS contact center phone system offers the contact center a back up plan in the event of outages that premise based switches do not. Premise based are limiting and the only way to have a back up to a physical switch is a second physical switch and hopefully in a second location. It won’t matter how many switches you have if there is a flood in your contact center, your phone system will be out of service. When the PBX is down, you will lose all the calls in the queue and callers will get a fast busy creating a great deal of frustration. In contact centers where customers call in and make payments, like mortgages and credit cards, they are usually calling at the last minute to make the payment before the due date. If they get a fast busy and are unable to get through you have just made the caller’s anxiety level jump up few more notches. Yes, it is possible to transfer the calls from a physical switch when it is down but it isn’t easy. You need to contact the carrier and this can take days to make happen. There is also an extra charge for every leg the carrier transfers those calls to, perhaps another penny a minute. This can get pricey. A hosted cloud based contact center platform will auto-detect a break and will automatically reroute call traffic to other locations. The contact center software eliminates outages by having server redundancy. By setting up servers regionally around the country when there are problems with traffic, the software will flip call traffic to another location. This takes less then five minutes. You can see it happen instantaneously on the manager’s dashboard. The only calls lost are the ones in process. You maintain productivity and customer satisfaction, eliminating any down time. So why are so many contact centers still hanging on to old PBX’s? No matter why the outage; cable cut, fire, flood, snow storm or pandemic you can connect from anywhere because you have the capability to be up and running in an alternate location as fast as you can login. Is that fast enough for you? 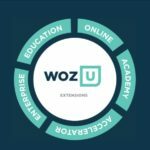 Woz U is a tech education platform launched by Apple co-founder Steve Wozniak that focuses on both students and companies. Woz U is Arizona-based with plans to launch physical locations for learning in more than 30 cities across the globe. Learn coding, analysis, programming & security. Newbridge allows Call Center organizations to leverage Fortune 100 Technology, Management, and Staff. 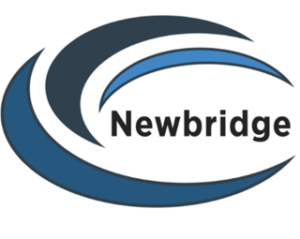 Talk with Newbridge, we live contact center every day.